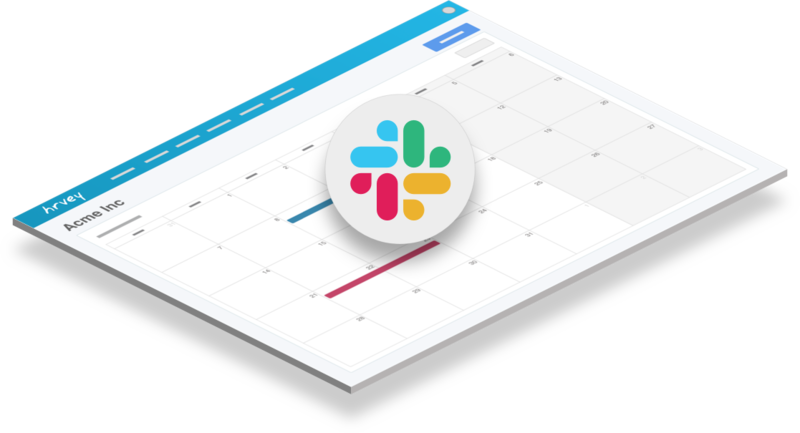 Our powerful integration with Slack makes leave tracking easier than ever. 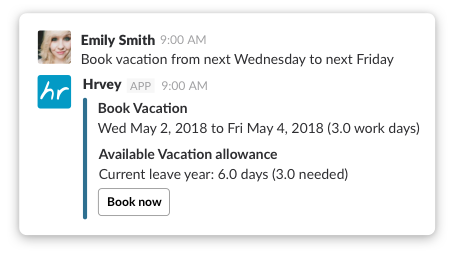 Get reminders about absence, book time off and approve right from Slack! Just tell our chatbot when you want to take time off, and we'll handle the rest. 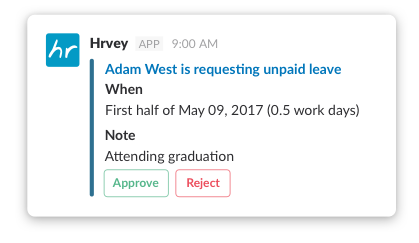 Approvers get notifications about requested leave and can respond right in Slack. 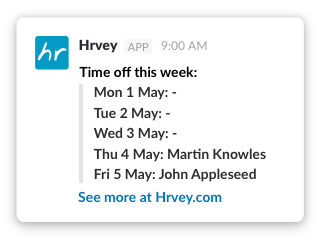 Set up weekly or daily reminders about who is taking time off to a channel of your choice, and keep everyone on the same page.